If you want to make your kitchen unique, consider adding a splash of color. Colorful kitchens can be created easily, with just a few simple ideas. 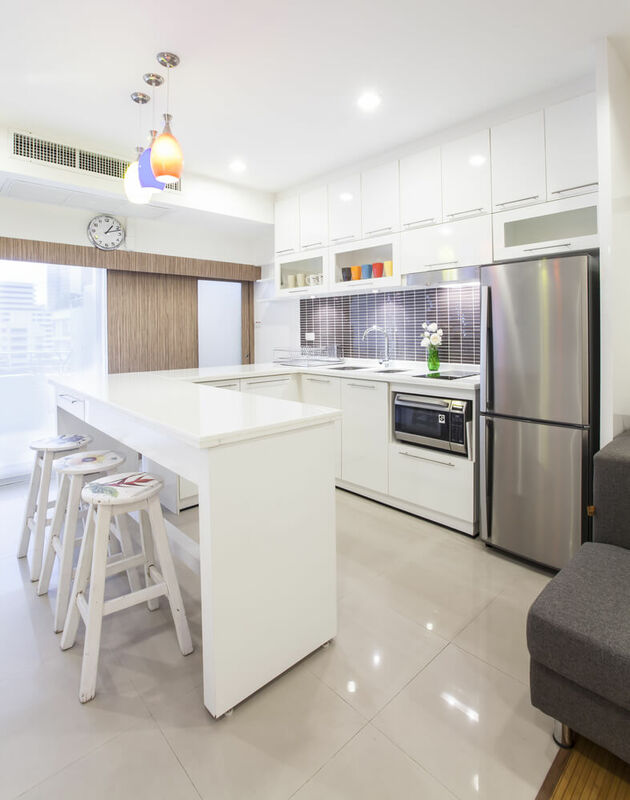 If you are looking for a way to make your home’s interior design unique, consider colorful kitchens. Adding color to your kitchen can help bring in natural light, give your space a fun pop of color, and make your home bright and inviting. 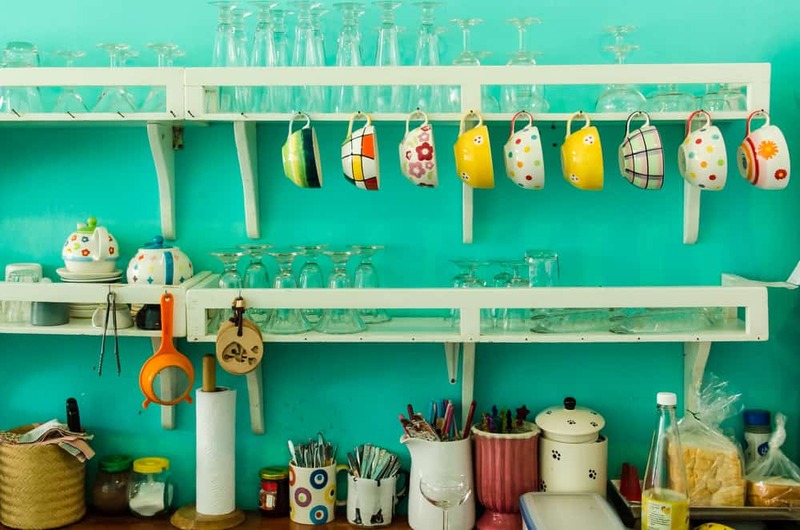 By adding color to your kitchen you can channel all sorts of fun energy other places in your home, too. In a lot of interior design circles it is recommended to add one colorful accent wall to a room, so as to not overwhelm one room with too much of a good thing. 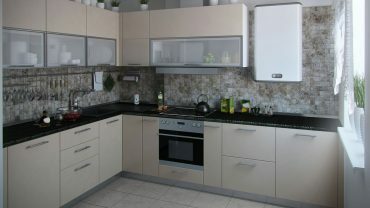 However, in a kitchen there are many different ways to add different colors without overwhelming the senses. 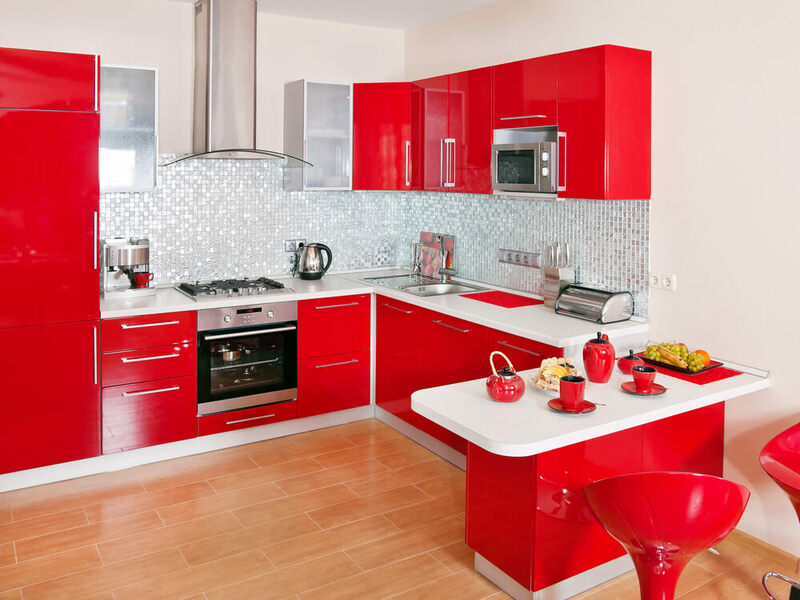 Here are a few great interior design ideas so that you can create the perfect colorful kitchen in your home. 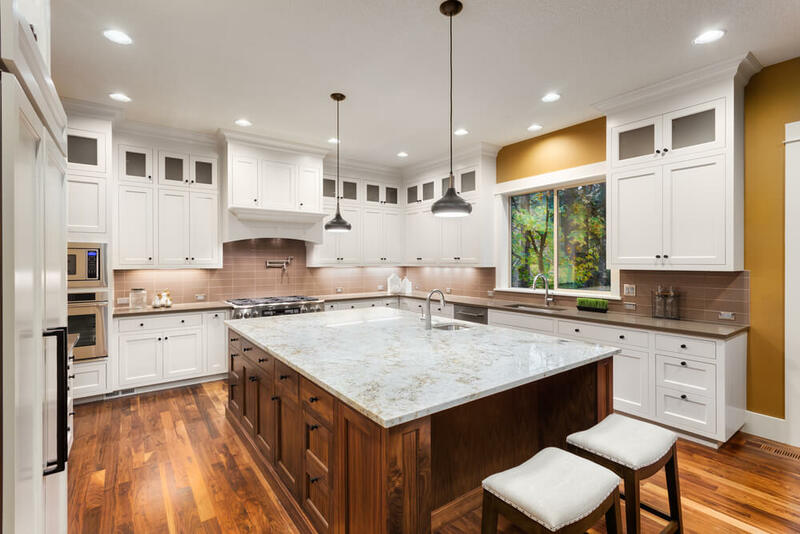 When working on the interior design of your kitchen, you want to make sure you have picked out colors that are going to go well together. 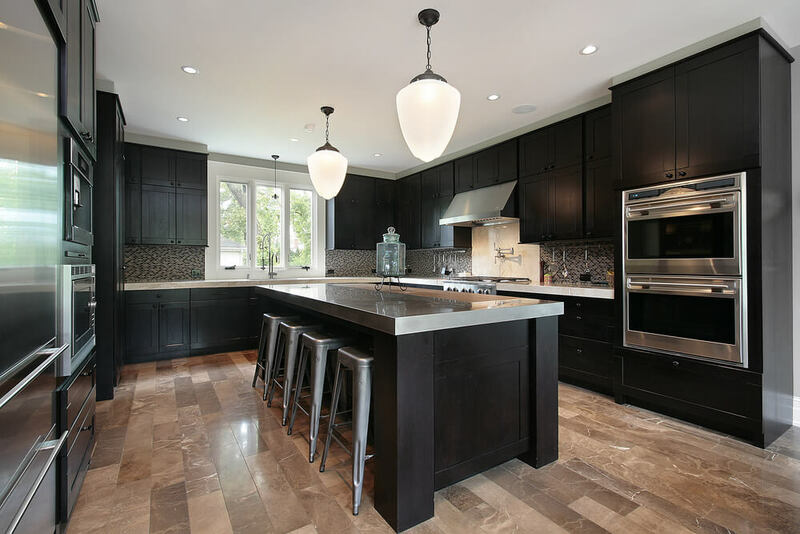 Generally, you want to make sure that you are playing off neutral and contrasting colors in your kitchen. One color can be your base, while other colors or designs add to that base to create a fun splash of color in your kitchen. 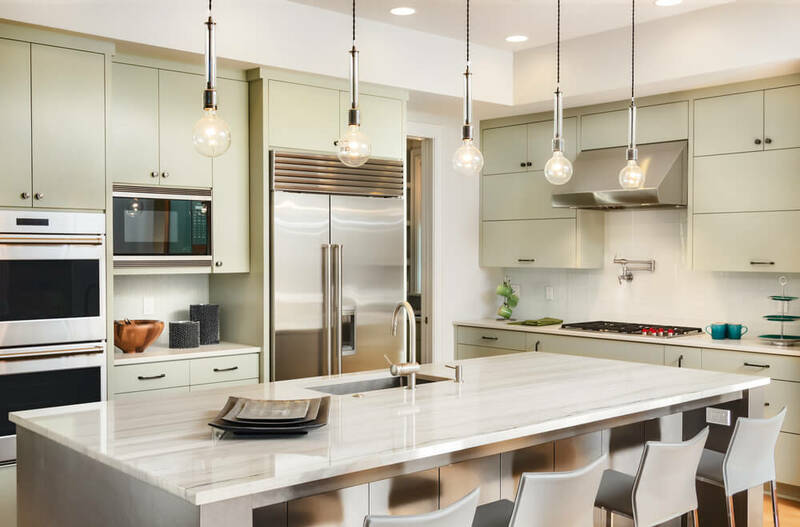 Once you’ve chosen the colors you want to add in your kitchen, you can begin to think about the accessories or paints you’d like to use to create that look. You don’t have to rely on paint alone to achieve your bright kitchen look. Think about the accessories you could add in your kitchen that brings in the colors you like. These items could include curtains, cabinet knobs, your lampshades, and furniture like kitchen chairs, bar stools, or a dining room table. Each of these accessories can be used to highlight different parts of your kitchen, and if you spread out your use of color and patterns the use of color in your kitchen won’t be as overwhelming. Of course, never underestimate the influence of a new coat of paint. If you are looking to repaint your kitchen but don’t want to change everything about it, consider adding color in just a few places. 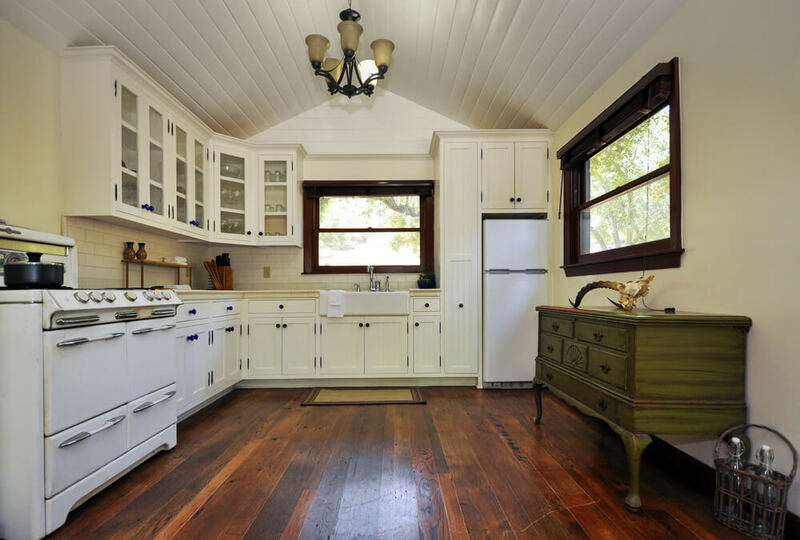 You may be able to paint the walls of your kitchen a fun color while leaving your cabinets a neutral tone. You could also do the opposite; paint your cabinets while leaving the background kitchen color a neutral. You want to make sure that you are able to balance light and dark colors to create a contrast, too. 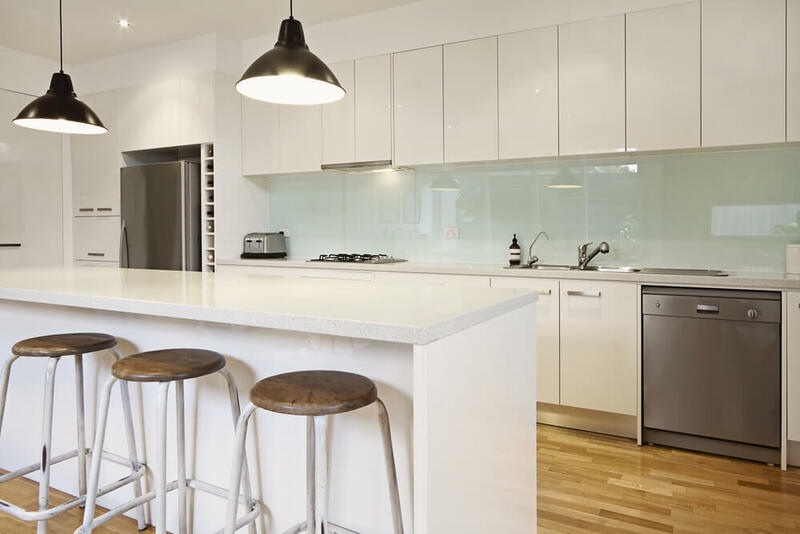 Any time you are able to take advantage of natural light in your kitchen as well is an opportunity that shouldn’t be missed. We spend a lot of time in our kitchens, and you want to spend time in rooms that make you happy. Think about the colors that bring a smile to your face, and consider adding them in to your kitchen. 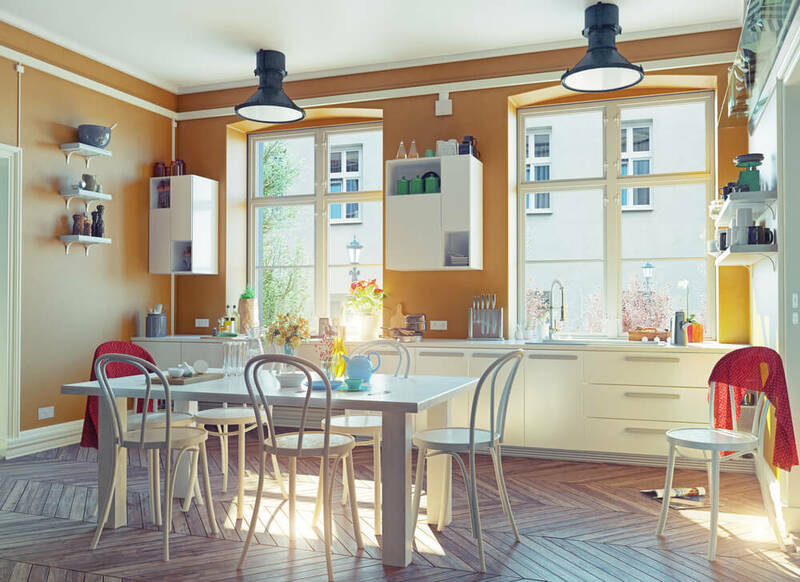 These colors may help accentuate the natural light your kitchen already gets, or they could add a splash of color to an otherwise average space. Whatever you choose, remember that colorful kitchens can be a lot of fun to create and cook in! Accent colors can happen in rugs, chairs, and curtains. 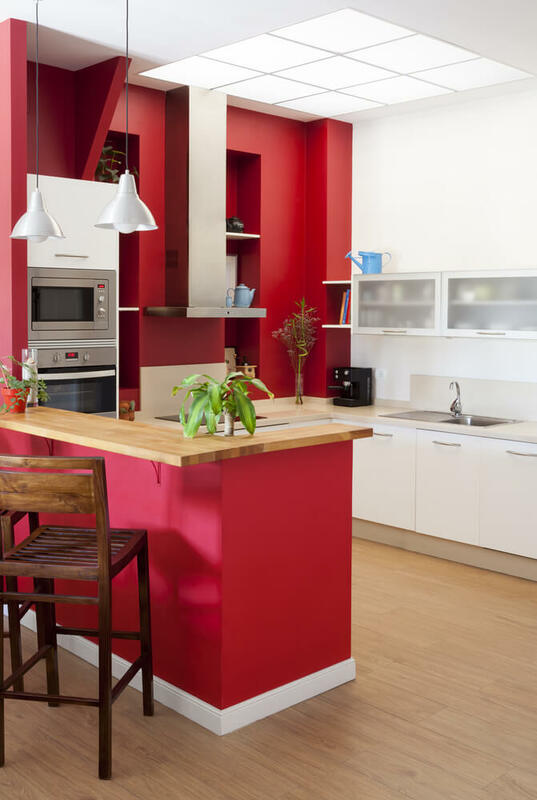 A red accent wall can make your kitchen pop. A subtle hint of color on a kitchen island can add depth to your kitchen. A monochromatic kitchen can be a dramatic style choice. A blue backsplash can create a fun color palate for your kitchen. 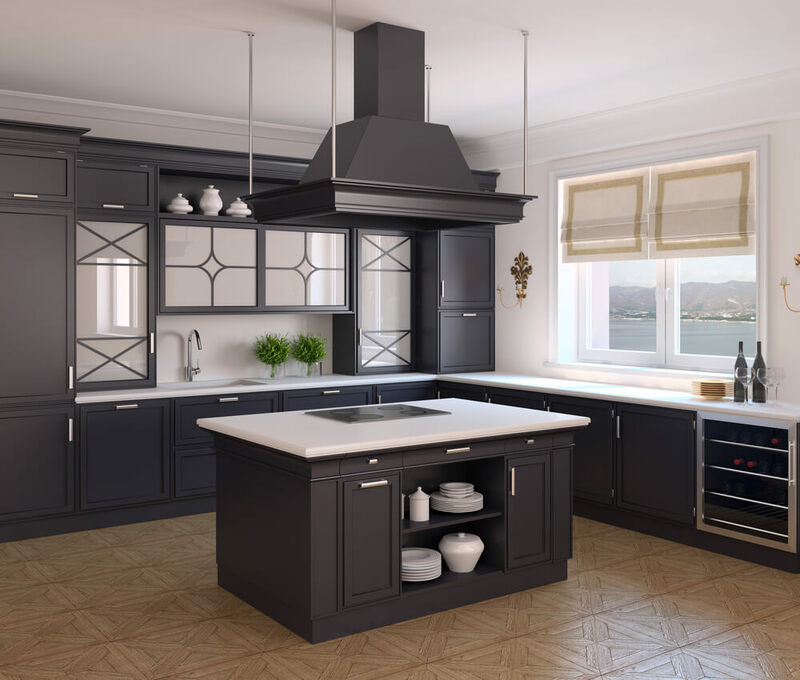 A dark gray kitchen can take advantage of plenty of natural light. 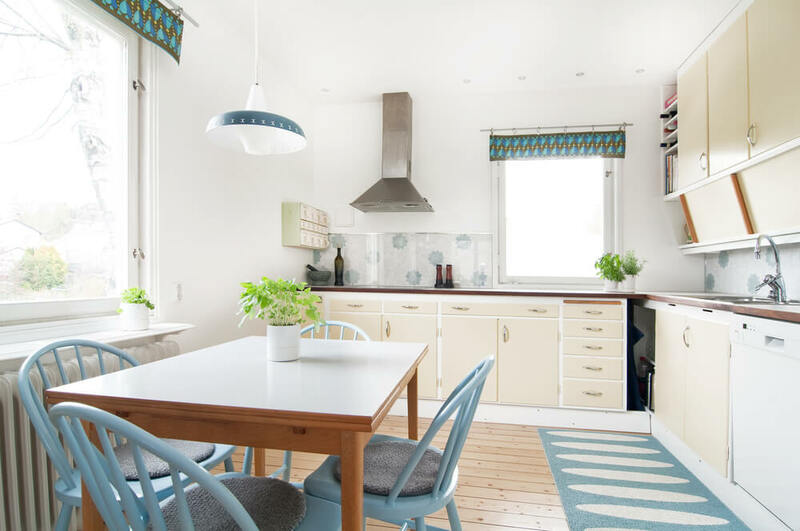 Match your cabinets to your chairs, dishes, and kitchen appliances. 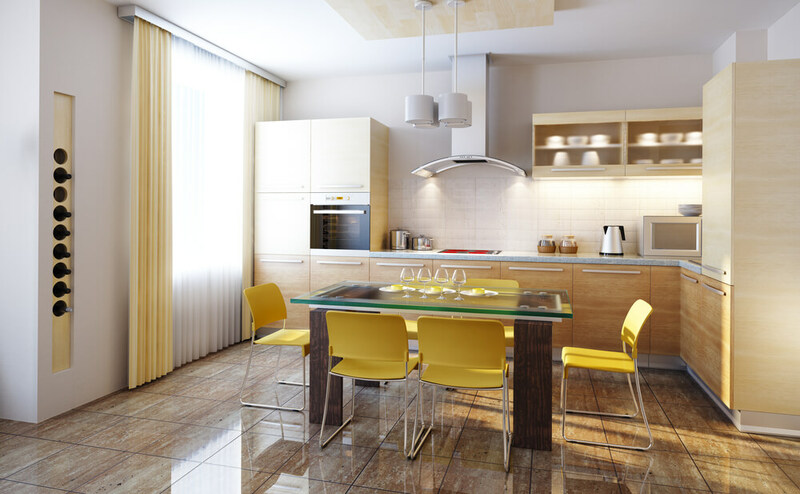 Yellow is a great color for creating bright kitchens. 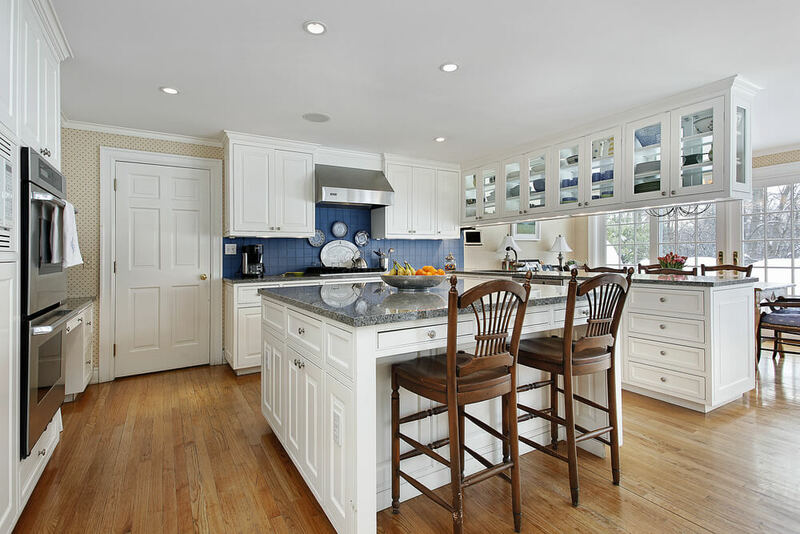 A white kitchen can be accented with colored lights and cups. Your kitchen color doesn’t have to be bold to make a statement. 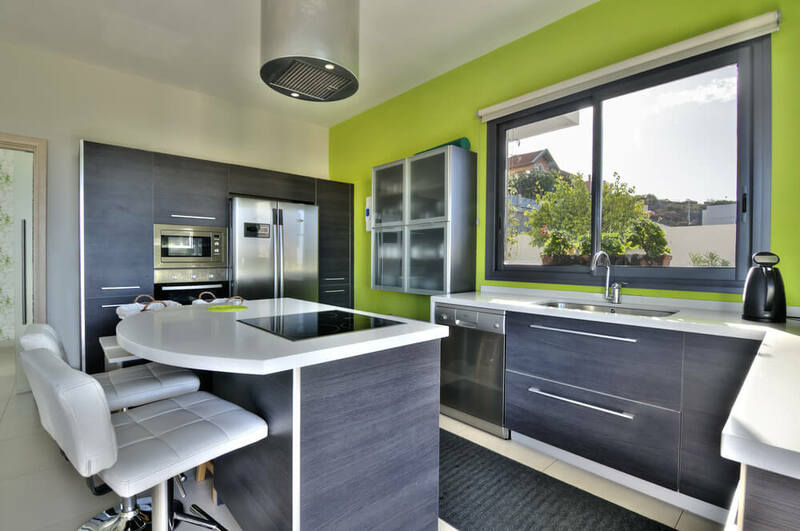 Two or more unique colors can make your kitchen look and feel busy. Think of smaller ways to add color to your kitchen. Jewel tones can add color depth to your kitchen. 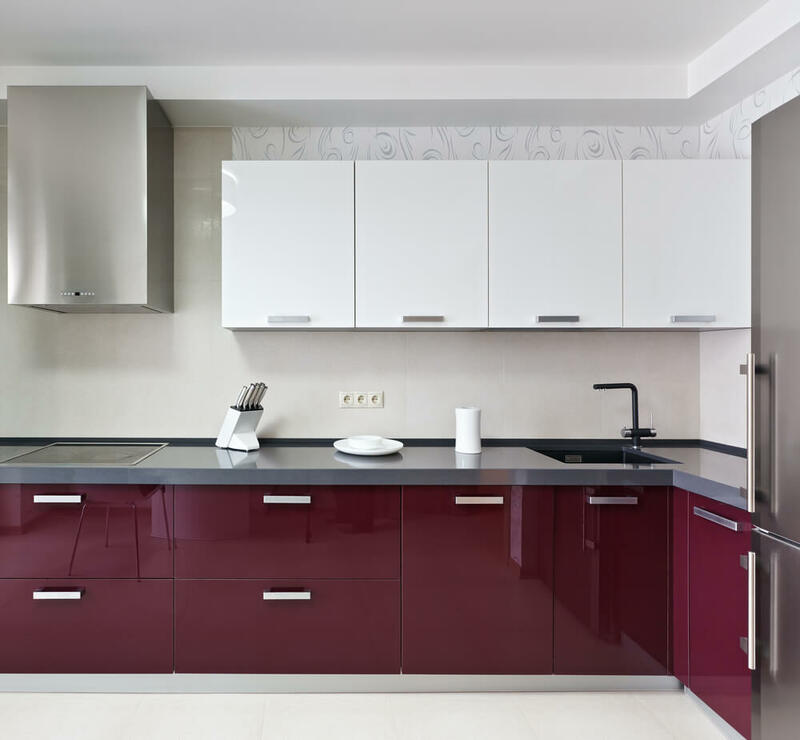 Contrasting wall colors can back up white or light cabinets. 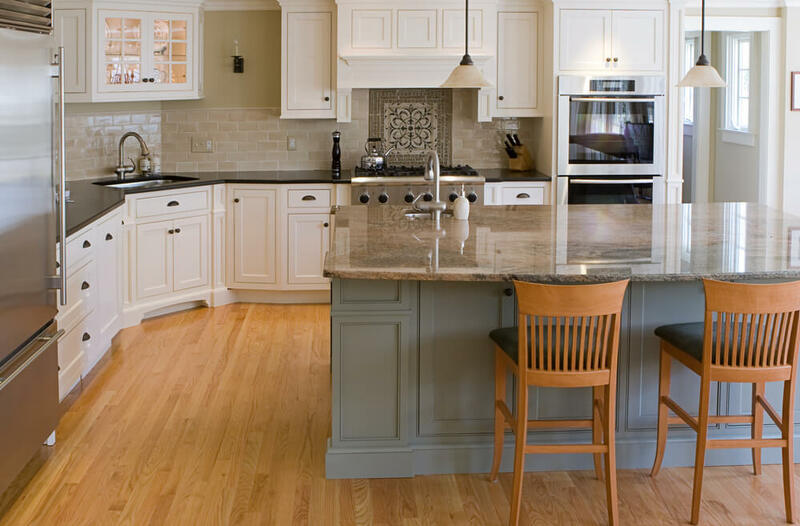 Subtle color can bring your kitchen design together.